Seattle Repertory Jazz Orchestra (SRJO) teams up with Seattle Shakespeare Company (SSC) to present one of the most distinctive jazz concerts of the year. Presented in three performances, the concerts showcase Duke Ellington’s suite of 12 works that he composed in tribute to playwright William Shakespeare, Such Sweet Thunder. Interspersed with the music are selections from the Shakespeare plays and sonnets that inspired Ellington. 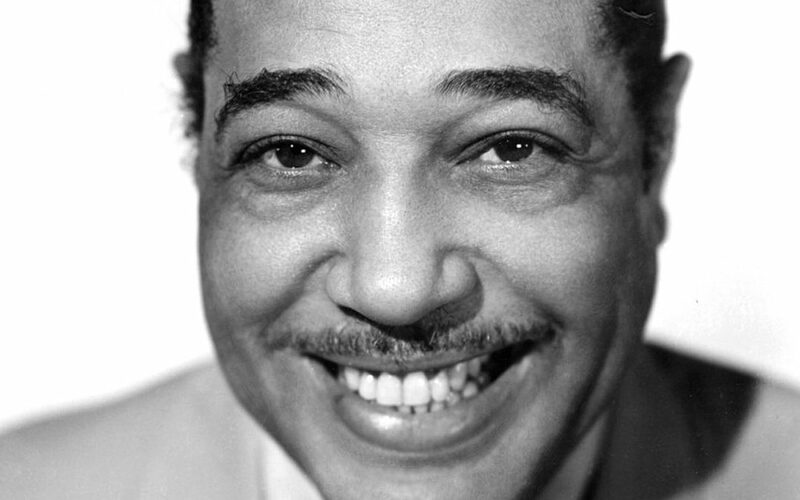 Written in 1957, Duke Ellington’s masterful jazz suite Such Sweet Thunder not only takes its name from Shakespearean text (“such sweet thunder” is a line from A Midsummer Night’s Dream), but also its themes and topics. The suite’s 12 sections include 11 instrumental portraits of characters from Shakespeare, followed by a final piece evoking the playwright himself. Working with his longtime collaborator Billy Strayhorn, Ellington created the suite soon after he and his band appeared at the Stratford Shakespeare Festival in Ontario. Between musical pieces, actors Hana Lass and Darragh Kennan from SSC will join SRJO on stage to present spoken selections from Shakespeare. The weekend of concerts is part of Seattle Celebrates Shakespeare Festival taking place throughout March and April. One of the nation’s most exciting arts and culture festivals, with each iteration, Seattle Celebrates unites organizations across a variety of mediums to present works on a single theme. This year, nearly 25 of Seattle’s theater, dance, music, and film organizations join together to present a city-wide celebration of The Bard. This collaboration showcases Seattle’s rich cultural landscape and defines it as one of the premier arts destinations in the country. For more information about the festival series, visit seattlecelebrates.org. Now celebrating its 23rd season, the 17-piece SRJO is co-directed by saxophonist and arranger Michael Brockman, long-time faculty member of the UW School of Music and an authority on the music of Duke Ellington, and drummer Clarence Acox, award-winning conductor of the Garfield High School bands. SRJO includes many of the region’s best-loved jazz soloists and band leaders: trumpeters Jay Thomas and Thomas Marriott; bassist Phil Sparks; saxophonists Mark Taylor, Sidney Hauser, Bill Ramsay, Travis Ranney, and Alex Dugdale; trombonists Dan Marcus, Scott Brown, and Bill Anthony, guitarist Milo Petersen and pianist Randy Halberstadt. Tickets are $15–49 and are available at srjo.org or by calling (206) 523-6159.